I was hesistant to listen to this album at first. 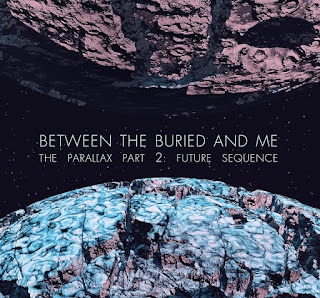 As you know, Between The Buried And ME has a schizophrenic style that virtually tries to combine every genre of music together, though not as masterfully shocking as Mike Patton did in Mr Bungle, but with enough change to have many people label them as pretentious hipsters who are compromising musicality and trying too hard to shock audiences. I myself, being an Opeth fan, hated the sudden jolts and unskillfully crafted transitions, if any existed. To my surprise, this album has a lot of improvement from the band's previous 'The Great Misdirect', which was a ironically apt title for the album. To the pros; Tommy Rogers finally sounds like deathcore vocalist and not a confused metalcore-screamo singer in the wrong music. Transitions, though still not as fluid, have become more pronounced and I rarely had a "How did just happen" moment while listening. Production sounds energetic and vital, which amplifies the schizophrenic nature of the music. Despite the evident chaos of the album, there are numerous moments of brilliant creativity spliced in between every song and there. The inclusion of Nintendo music, some really soulful guitar moments (which also give the band a more mature appearance, at least slightly more than pretentious teenagers) really marks the surprises in this album. The definite album highlight is 'Melting City', with its funky keyboards, gentle fretless bass in the middle, and death metal explosions in its introduction, not mention the polyrhythmic musical outroduction that is sure to dazzle even staunch Dream Theatre fans. This album is an absolute grower, and time will tell if it moves up the ranks or if I find it disgusting towards the end of the year. The fact that this year's competition includes heavyweights Krallice (whose album 'Years Past Matter' is getting better and better with each listen) and Blut Aus Nord, who have managed to mix creative music with masterful songwriting, doesn't bode too well for BTBAM. This is quite a phenomenal album albeit one for a limitted audience, but as for now, it will not stand out in the year's better releases.